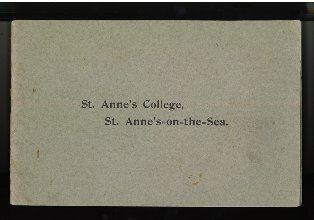 Lytham & St.Annes on the Sea Lancashire - Local History - St.Annes College, St.Annes on the Sea c1908. St.Anne's College, St.Anne's on the Sea. St.Anne's College, St.Anne's on the Sea..